The septum is the piece of cartilage and bone in the middle of the nasal cavity that separates the right nasal space from the left nasal space. In general it may not lie perfectly straight and slight bends within the septum may not cause any symptoms. If the septum is significantly deviated, nasal obstruction is the main presenting symptom. Associated symptoms include a sense of pressure within the nose and sometimes nosebleeds from constant contact of airflow onto the part of the septum that is deflected. An in-office test using a fibreoptic nasendoscope to examine the nose enables the nasal septum to be examined carefully from the front of the nose to the back. The nasal cavities can also be examined for other causes of nasal obstruction like nasal polyps and even adenoid tissue that can be persistent in the post-nasal space in some adults. A CT scan of the paranasal sinuses is also useful for diagnosis. A septoplasty is an operation to straighten the septum. It is indicated to improve nasal obstruction if the diagnosis of septal deviation has been established as the cause of the symptom. It may be done in conjunction with an adenoidectomy if persistent adenoid tissue has been diagnosed. A septoplasty may also be needed to access the sinuses during endoscopic sinus surgery. It is done as a day surgery procedure and a general anaesthetic is required. A small incision is made on the inside of the nose either on the left or right side depending on the case and the concept of this operation is to remove enough cartilage and bone to enable the septum to be straight. 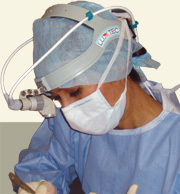 The procedure, risks and benefits will be discussed in full during your consultation with Dr Para. Straightening the septum will allow better nasal function. However upper respiratory tract infections will still contribute to a degree of nasal congestion and patients with allergies will still have nasal obstructive symptoms from time to time. As long as these factors are taken into account, the operation and post-operative expectation can be addressed in a realistic manner.